With comprehensive training and several years of facial filler procedure experience, our team of professional’s are able to provide our patients with the results they are looking to achieve. Dermal filler injectables are administered on particular locations on the patient’s face. Each single application is applied with the intention of providing a soft, natural appearance. Dermal Fillers are injected straight into the patients skin with the main goal of adding volume to the target location with the objective of making wrinkles and depression folds to soften and appear as if they have dissolved. Depending on the injection type, the patient should expect facial fillers to last from anywhere to 6 months to even 2 years. Patients often complement dermal fillers with Botox. Even though the two procedures involve injections, Botox is particularly injected into the forehead and is used to treat wrinkles around the eyes by deterring the muscles from moving which creates the wrinkles. Dermal fillers are responsible for smoothing and adding volume to specific locations on the face. 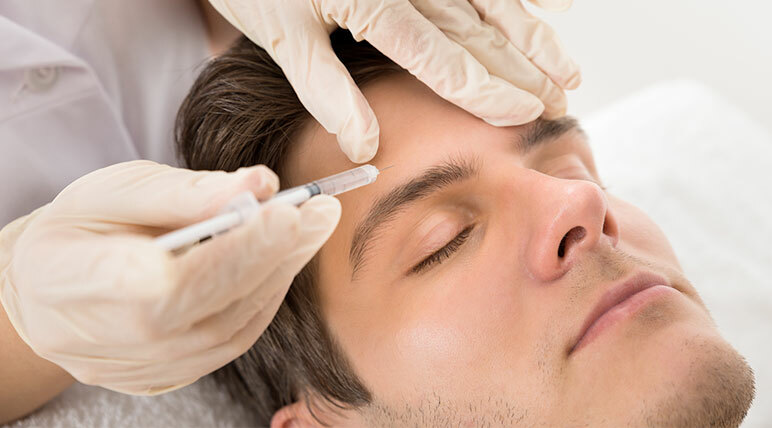 Given that injections function in distinctive ways, patients sometimes decide to utilize both Botox and dermal fillers in order to achieve their goals.